Using KSM-66 ashwagandha extract, along with B vitamins sourced from organic fruits and other botanicals. 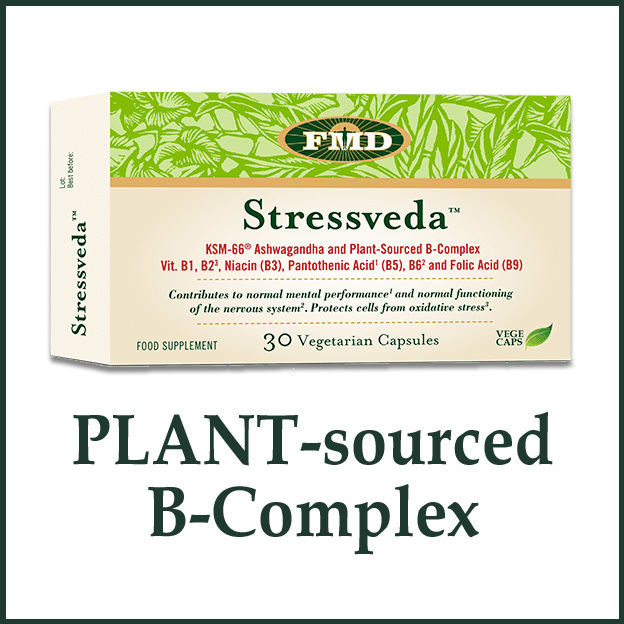 Stressveda was developed to soothe stress-sensitivity while supporting mental performance and nervous system health. Prized for its ability to balance body and mind, ashwagandha has been used in traditional ayurvedic practices for over 4,000 years. Stressveda’s unique combination of herbs and vitamins may be the key to finding balance and ease, and finding your way back to your best self.